So, you want to be a drone pilot? Maybe you saw a crazy freestyle video with gravity defying stunts, or an adrenaline packed drone race and wondered, “can I do that?” Maybe you even started searching around for more information and got overwhelmed with all the different choices. You may have asked questions like, “are drones expensive?”, “what equipment do I need?”, and “how difficult is flying a drone?” It can be extremely daunting entering this hobby, and we wanted to put together a quick article on what you need to know before buying a drone. 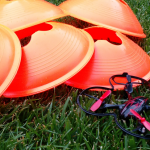 We put together the top considerations you need to be aware of if you want to get into the fastest growing areas of the hobby – quadcopter freestyle and drone racing. However, these apply to flying as a hobby in general. So, if you are thinking about getting into camera drones by picking up the latest from DJI or GoPro, this list applies to you too! This list isn’t meant to discourage you from flying, but rather getting your expectations in check as to what goes into keeping our drones in the sky. Are drones expensive? They can be! 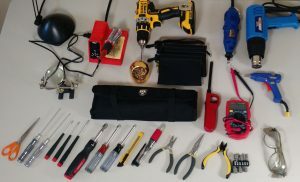 You also need tools to repair your quadcopter – some of which you may not have! First and foremost, drones can be expensive. If you are the type of person that always needs the latest and greatest, prepare your wallet. Cutting edge technology is released almost weekly, and there is no limit to the parts of your quad you can upgrade. New motors might require new ESC’s, which might require a new flight controller, which might require a new…you get the point. Furthermore, there are a lot of consumable components in this hobby. You will break propellers constantly while learning. You will burn out electrical components, break pieces of your quadcopter when crashing at high speeds, and purchase a lot of disposable odds and ends for building and repairs. All these components unsurprisingly cost money. That’s not to say you can’t get into the hobby cheaply and still have a great time! Our general advice is to start small. Crawl before you walk, walk before you run, etc. Don’t drop a thousand dollars on the latest camera drone or FPV racer without getting some practice on a toy quadcopter first. Skipping this step is just a sure way to spend a lot more on repairs as you start the learning process. Similarly, you might find that flying a quadcopter isn’t for you. 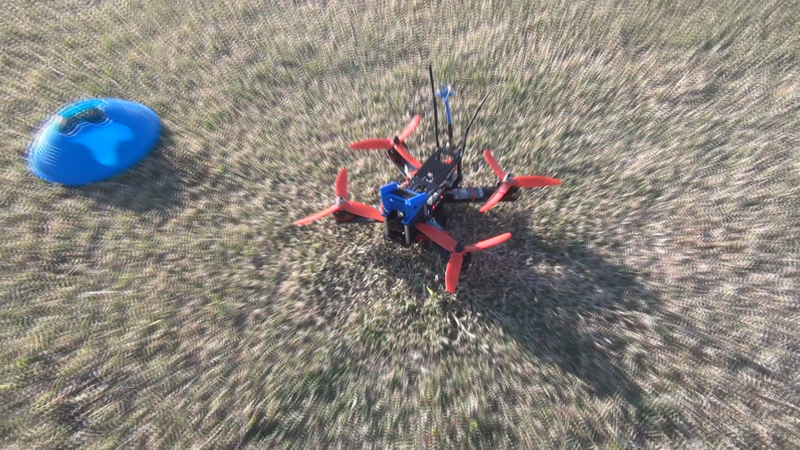 You might enjoy watching FPV videos, but might not want to put in the wrench time to keep your own quad in the air. 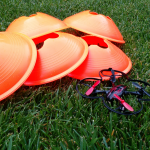 What order should quadcopter equipment be purchased in? Types of drones – toys, racers, and more! US consumers may not be familiar with international vendors like Banggood. Unless you are buying a prebuilt drone, you will likely be purchasing parts and equipment from companies you have never heard from before. The drone market is still in its early stages, and new vendors are popping up every day. Furthermore, finding the correct components for your build may require going through multiple vendors. Most of these companies won’t have services like Amazon Prime shipping, and their sites may look like they are out to steal your credit card information. In reality, many of the various vendor sites are owned by hardworking hobbyists running their own businesses. They may be rough around the edges, but most are passionate about what they do and will work to help you out. That said, you must be disciplined on tracking your orders. Shipping times can vary – we have received some components next day and others MONTHS after ordering them. We have received wrong or dead on arrival components, and had to deal with returning or replacing them to frazzled vendors. So, what can you do to prepare? First and foremost, we recommend assembling a complete parts list and buying and building everything within a short window. The technology is changing constantly, and getting parts that function together correctly is obviously necessary. Furthermore, if you receive dead parts and wait a while to build your quadcopter, you might find yourself outside of the return window if you find a problem. Be sure to use a method of payment that offers you recourse in the event of a bad sale. Most credit cards and services like PayPal are good about this, but we would recommend caution when using a debit card. Finally, build a spreadsheet where you can maintain all your order information. A good starting place would be vendor contact details, tracking number, order number, and order date. This is all information that you can use to track your order or contact customer service in case of a problem. Finally, don’t be afraid to reach out to vendors if you do have an issue. Unfortunately, we have had some vendors not contact us when a problem arises, and only found out about an issue after we contacted them directly. YouTubers such as UAV Futures can be a great resource for information! While we here at Propwashed are working to put as much flying knowledge as we can in one place, information on drones is scattered across the internet. You will need to get comfortable sifting through, and asking advice on, various RC forums. Combing through YouTube tutorials for issues on specific products will become second nature. Your Google search keyword proficiency will become razor sharp. This may not sound too difficult for seasoned searchers, but trust us, even the most experienced researchers can become frustrated trying to find answers to problems keeping you out of the air. To combat this, join forums like RCGroups and the r/multicopter subreddit. Start following helpful YouTubers in the community and watching their videos. Join drone enthusiast groups on Facebook. The more you get involved, the easier it will be to learn and find the answer to problems. Practice makes perfect – and while practicing you will crash a lot! Flying a quadcopter is challenging. Most people will pick up the transmitter (the controller for your quadcopter), and immediately crash. Getting the feel for flight takes time and practice. Just staying airborne will be a challenge in the beginning! Furthermore, learning to control the quadcopter and piloting it where you want it to fly is frustrating at first, and will take hours of trial and error. Not only that, but your quadcopter will take a beating after some practice sessions, and might not always survive the crash. Depending on your personality, this can be a difficult thing to get over. If you are the type of person who is crushed when something breaks after spending hours of hard work on it, the cycle of build – fly – rebuild can be a difficult cycle to love. Part of flying quadcopters will involve dealing with eventual repairs. You might spend ten hours building the perfect quad, only to replace three parts after your first crash ten minutes later. It is a constant challenge to keep your quad in the air, and you should set time aside for repair work. In other words, flying is tough! Getting to the point where you are pulling off crazy stunts or competing in races will take dedication and patience. We recommend flying as much as possible and pushing yourself to try new things every practice session. Following guides and videos to structure your learning can also be helpful when starting out. Similarly, don’t get discouraged when you crash and break something on your quadcopter. Embrace the learning opportunity from each crash! Learning to fly using a micro quad – the ultimate beginners guide to flying! 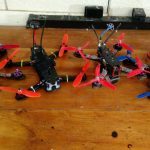 Building and repairing your quadcopter will inevitably put you into close contact with a wide range of electronic devices. You will wire, solder, and test connections constantly. You will swap out broken motors, replace split wires, and re-solder bits and pieces of your drone after bad crashes. This can be unfamiliar territory for many people new to the hobby. Similarly, our quadcopters achieve fast speeds and preform agile tricks via powerful LiPo batteries. Irresponsibly charged batteries can ignite and pose a serious fire risk. Failure to respect your batteries can have catastrophic results. The aftermath of a LiPo fire from Reddit user xero976. We don’t mean to scare you into thinking you will burn down your house, but we do want to help you understand that these electrical components need to be respected. Taking the time to learn how to correctly solder and work with electronics will help make repairs easier and cheaper for you in the long run. Similarly, storing LiPo batteries safely and using correct charging practices will help prevent potentially dangerous situations. So, is drone flying the hobby for you? Hopefully you are not feeling discouraged after reading this article. Our goal here is to educate you now so you don’t regret your purchases later. Unless you have an issue with every single one of the above points, I wouldn’t necessarily say you shouldn’t dip your toes into flying. You might feel uneasy, but that’s not a bad thing! Take some time to read a few of the linked articles to learn a bit more before pulling out your wallet and spending your hard-earned money. For most people, we think you can’t go wrong picking up a micro quadcopter, such as a Hubsan X4 or Syma X11. You can purchase either of these quadcopters for less than $50 shipped. The skills learned from flying these ‘toy’ grade quadcopters can translate to flying their larger brethren. If you find that flying isn’t your thing, then you spent less than $50. This is a vastly easier learning experience than dropping hundreds of dollars on a larger setup you might not enjoy. Flying drones can be an exhilarating experience. Few things give the excitement of flying high above the ground and seeing the world from the sky. FPV quadcopters can give you that experience, and for many is worth the price. However, before you jump into the hobby, research and understand what goes into keeping these machines in the air. Have any questions that we can help answer? Feel free to leave a comment below, as we would love to help address any worries that you might have. 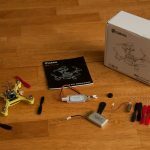 Quadcopter training for beginners article series updated! 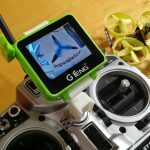 GTENG watch review: The ultimate Tiny Whoop accessory!